Tomie Raines, Inc. is a one of the leading real estate brokerages in Mid-Michigan since 1977. Comprised of between 75 – 120 real estate agents throughout the year, Tomie Raines, Inc. services one of Michigan’s most populous areas including the state capital – Lansing. In 2016 Tomie Raines merged with Berkshire Hathaway HomeServices, expanding their team and brand. 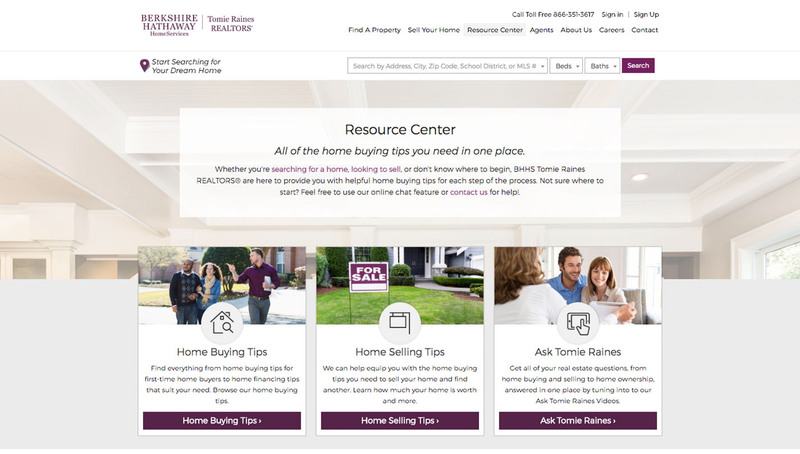 Before Berkshire Hathaway HomeServices Tomie Raines REALTORS® teamed up with Web Ascender, they spent much of their time and marketing dollars on more traditional, interruption-based marketing methods such as postcards, commercials, and cold calling. Historically, these methods have worked well at reaching potential buyers and sellers within the industry. However, they began realizing that these tactics were increasingly less effective as computers, phones and tablets had instant access to the internet, giving people the power to choose what they viewed, read and when they did it. Debbie Barnett, President of Berkshire Hathaway HomeServices Tomie Raines REALTORS®, and her team began realizing that more traffic and leads started to filter in from online sources and that it was becoming increasingly apparent that that people were seeking and consuming information online before they even contacted a Realtor. As a result, Barnett knew they needed to change they way they marketed and educated their prospects and clients. Berkshire Hathaway HomeServices Tomie Raines REALTORS® partnered up with Web Ascender’s digital marketing team to strategize and implement a long-term strategy for increasing their local, online presence in a way that would not only help to establish them as the go-to source for Mid-Michigan real estate, but also increase the number of qualified leads coming in and help to nurture those leads into actual customers. Knowing that people who used their custom, online listing search tool were quality leads for their agents, the Web Ascender helped strategize ways to highlight this tool to website visitors. 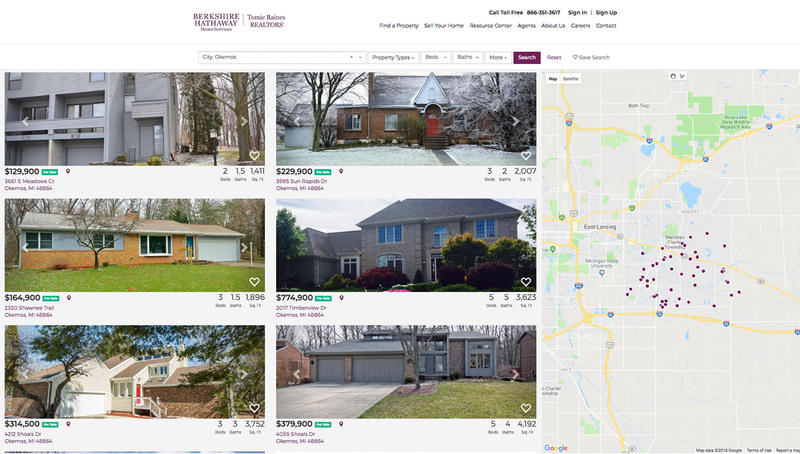 Strategic changes were made to increase the use of their online real listing search system,as well as unique conversion points were created throughout the website in order to make more connections with Home Finder Pro users as well as general website visitors. By placing forms and calls-to-action in strategic locations throughout the website, we were able to increase the amount of leads coming in by 85% in just the first 7 months since it’s launch. In more recent years, organizations such as Trulia and Zillow have claimed a notable presence online. Our strategy with this company was not to compete with these national, multi-million dollar organizations but to differentiate the company as the best, local real estate source. As a result of a focused effort on creating unique and compelling content on the website, increasing promotional strategies such as social media, among other tactics, overall traffic increased 25% on Tomie Raines, Inc.’s website. Another notable improvement was the blog content created to improve organic search traffic. Using strategic and sought after real estate keywords, organic traffic to the Tomie Raines blog increased by 245% in one year (2016 vs. 2015). While it is important to see an uptick with their website metrics, the key is the quality of traffic that is coming in. Instead of vague contact form submissions, now their website visitors were filling out forms explicitly expressing interest in information that qualified, leads would, such as asking for more information on a for-sale home, reaching out to a specific Realtor, and requesting a home analysis, and this provided hot leads for their team of Realtors to connect with and nurture into becoming clients. Tomie Raines, Inc. has come a long way in establishing themselves as the go-to source, and they have plans to develop that even further. 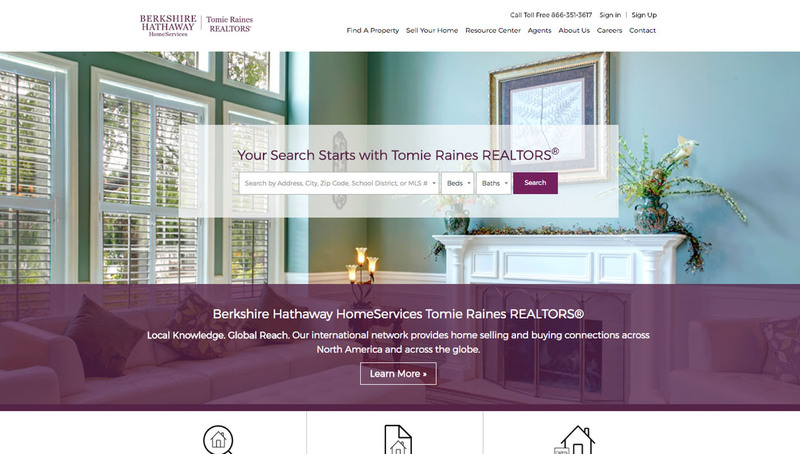 With their new branding, Berkshire Hathaway HomeServices Tomie Raines Realtors, the Web Ascender team is faced with a new and exciting challenge. With the help of internet marketing team, Tomie Raines plans to focus on attracting buyers and sellers through an inbound marketing lense and integrate more marketing automation features to better serve and nurture their leads and clients. This will make the sales process much more seamless for their agents and clients.